In less than two months the regular season will begin for the Boston Bruins. Every player will be looking to make an impression before the season starts. 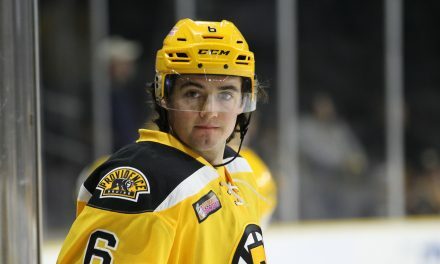 Brandon Carlo and John Moore are two players to watch out for. They each have their own reasons for why they will be looking to make their mark early. Those reasons include health and the fact that the Bruins have 8 defenseman under contract for next season. If they struggle then the Bruins will have plenty of replacements to choose from. Last year Carlo appeared in 76 games after appearing in 82 his rookie season. For the 2nd straight year his season was cut short by a gruesome injury right before the playoffs began. For Carlo, he will be looking to prove that he is healthy. He has been a key player for the Bruins in his young career. In two seasons he has only missed six regular-season games. Carlo struggled last season but was playing his best hockey of the season right before the injury. With the Bruins being so deep defensively Carlo cannot afford another injury. Moore, unlike Carlo, has not had injury problems in his career. Last season he appeared in seventy plus games for the third time in his career. 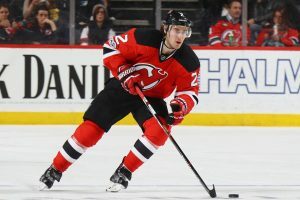 He established himself as one of the Devils’ best young defenseman with free agency approaching. 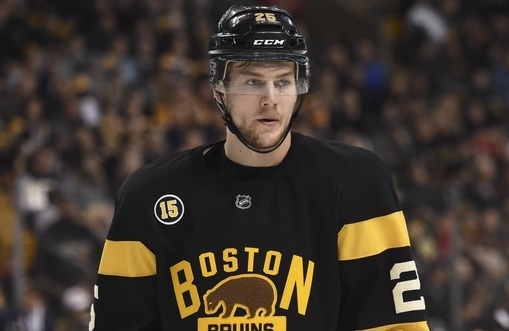 Where he fits in a crowded Bruins defensive group remains to be seen. 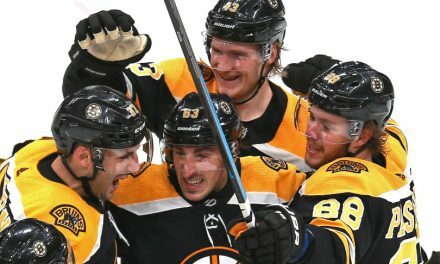 Of the Bruin’s defenseman only Torey Krug, Charlie McAvoy, and Zdeno Chara appear to be locks. This is both a negative and a positive for Moore and Carlo. Moore is also most likely a lock due to his contract but where he plays remains to be seen. The Bruins’ first defensive pair is set with Chara and McAvoy. The second pairing will most likely include Torey Krug but beyond that nothing is a lock. Carlo and Moore will be looking to make their case in camp to be on the second pairing alongside Krug. 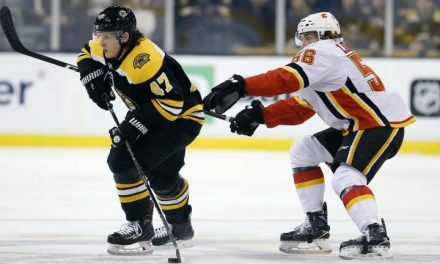 By giving John Moore a five-year deal, the Bruins showed that they see him in Boston for years to come. His skating ability allows him to contribute on the rush and recover when out of position. His skating ability also allows him to win puck battles by beating opponents to the puck. He has more offensive upside than Carlo which will play to his benefit. Before last season Moore had never seen top-four minutes. 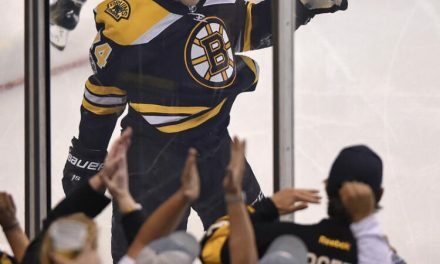 How these two play early on will have a big impact on the Bruins’ season. Even though Moore has more offensive upside, Carlo knows the system. He also has played top-four minutes the past two seasons and has shown he can handle it. How Carlo returns from his injury will determine where he starts the season. One thing is for sure- watching these two make their case will be an interesting storyline early on. NextWho Should the Patriots Bring Back to Their Practice Squad?